Amish Timber Desk features rustic yet practical design. 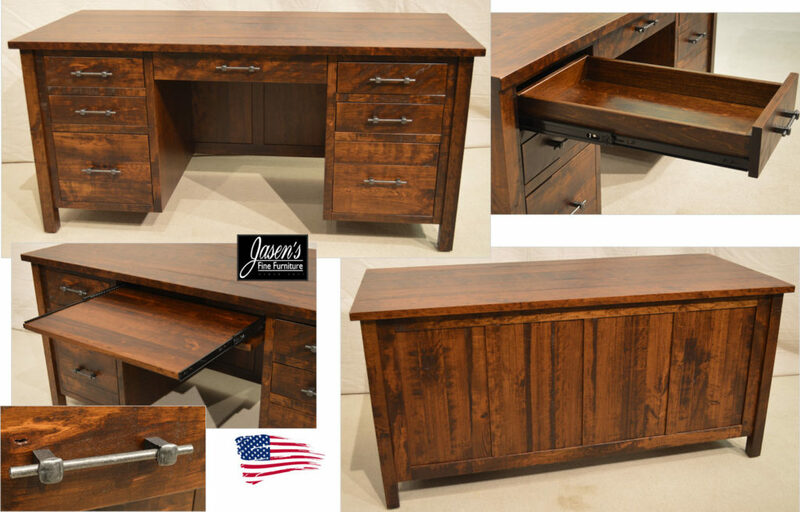 The Executive desk features rustic while functional style. Desk is shown in a Asbury stain with rustic iron hardware. Most noteworthy, the Amish made desk features durable construction.